Off Route 169, this contemporary hotel is a 10-minute drive from the Tulsa Zoo and a 14-minute drive from Tulsa International Airport. 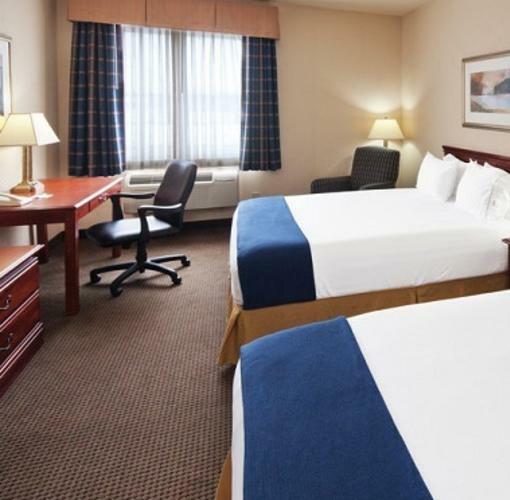 The straightforward rooms and suites come with flat-screen TVs, plus microwaves, mini fridges and coffeemakers. There's also free WiFi, plus kids 19 and under stay free with an adult. Suites provide separate living spaces, work desks and pull-out sofas. Amenities include a free breakfast bar, an indoor pool and a fitness center, as well as free parking and guest laundry facilities.